Today we have hundreds of digital cameras available in the market to choose from. However, a lot of these digital cameras use different and, at times, difficult to open raw image file formats, instead of using a universal DNG (Digital Negative) format. Thankfully, there are a number of RAW to DNG converter software available online, that can help us in converting our photos to DNG format for viewing, editing and preserving them for future generations. We will discuss some of them here. 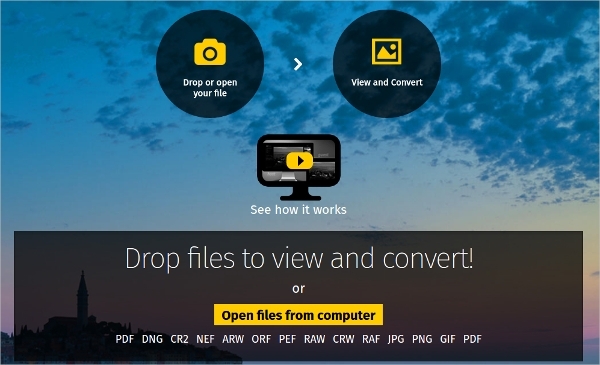 Adobe RAW file converter software was the very first that allowed users to convert RAW images to DNG. Unlike most camera software, it allows you complete control and greater flexibility over conversion settings and compresses. 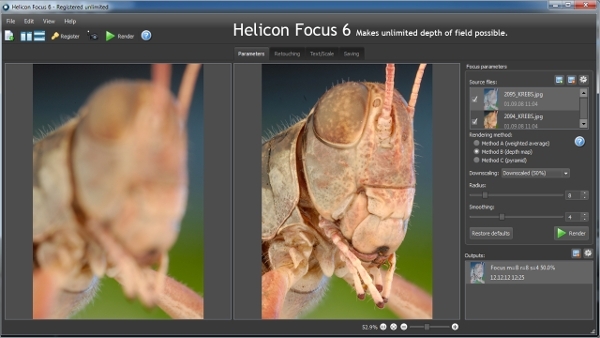 While offering additional editing features like white balance, even after the image is captured. Raw.Pic.io is a very useful and unique RAW to DNG converter, online viewer and image editor that also allow users to resize the images with in the browser. It supports formats like PDF and CR2 etc. But, the option of using your Google drive for your digital asset management is unique to this site, as you don’t need to download anything. 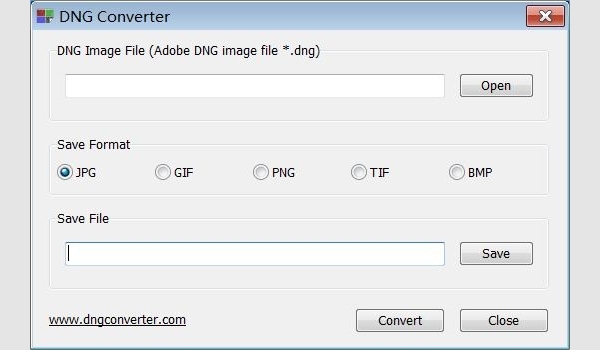 DNG converter is much simpler but just as useful, freeware to convert DNG images to most used a format like JPG, GIF, PNG, TIF, BMP. Its most attractive feature is its simplicity, all you have to do is start the DNG converter download, then add your image, choose from the five most popular formats and you can convert the image. 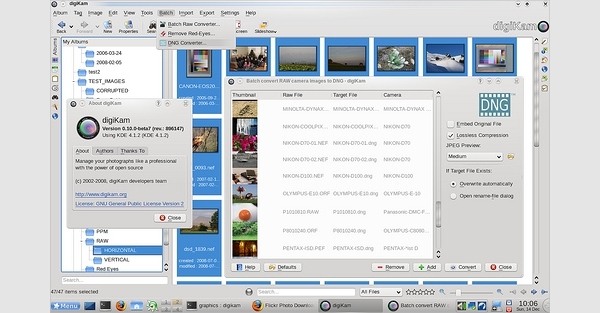 DigiKam is one of more advanced DNG converter. You can not only convert, enhance and view your file, but you can also add tags, rating, comments etc. It works on the principle of metadata, which allows you to view all the images under one album at one place, irrespective of their actual location. With an increase in the use of other platforms like Android and Linux, demand for DNG converters for their users also increased. In most cases, the user is not even allowed by the OS to download DNG converter windows version, as it is not compatible with the device. It posed an issue for the users, as most smart phones are based on Android and armed with a camera. 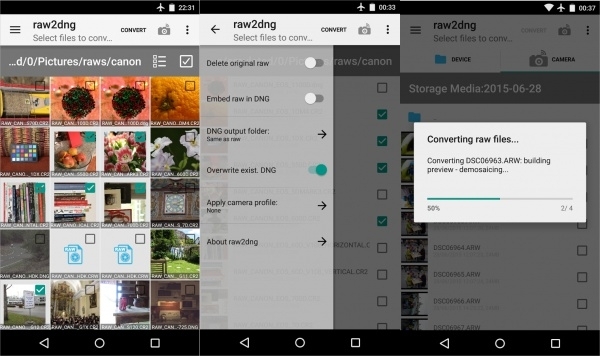 RAW2DNG is an app for android based device that can be downloaded from the Google app store. It works on the cloud principle, where the image stays RAW, but can be imported into the Adobe’s Lightroom, allowing the image to sync with Adobes creative cloud. You can edit your images and still keep the RAW intact. 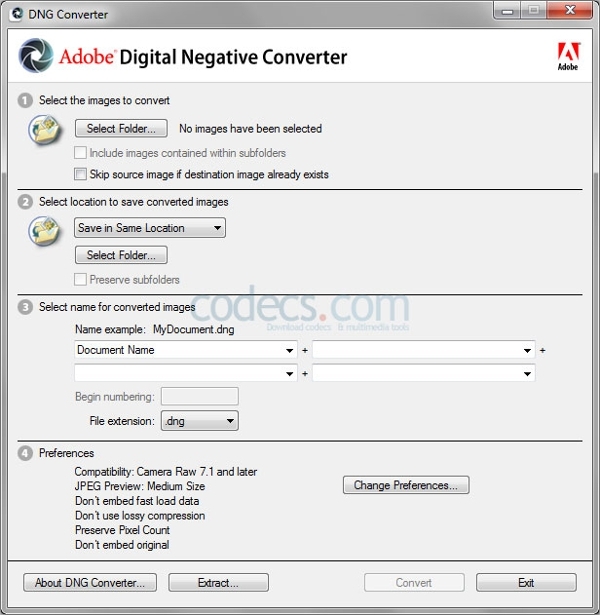 What is RAW to DNG Converter? To counter this problem, Adobe launched an image converter that was created with a mission statement: to be able to decode any raw image, from any digital camera, on any computer, running any operating system. Software based on this principle are called RAW to DNG converters. DNG provides a reliable way of preserving images for future generations, in their original form, without damaging or altering them. In the time, when technology is changing and evolving at a rapid pace, a standardized system is a necessity. Since its launch in 2004, it has gained the universal standard status for storing images.